There’s a certain responsibility that comes with being a big name in the industry – people look to you to be more aware of your efficiency and impact on the environment. Why? It’s simple – any positive changes you make will have a more significant impact. 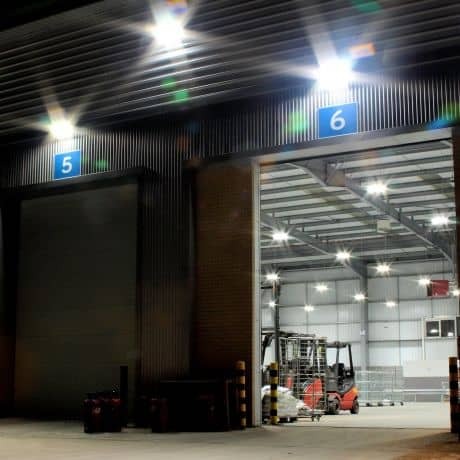 When the facilities team at Hermes UK put forward a proposal to change from traditional sodium to LED lighting at their distribution facilities, many thought it was a pretty radical idea. But any doubters would have been proven wrong, as the figures clearly show. “We wanted to invest in a technology that was going to prove its worth and LED lighting gave us exactly there, although the speed of return on investment surprised even us! We will be installing LEDs across all our facilities, as we want each of them to become a showcase of excellence”. Since 2010, Hermes has worked with Constellation Lighting to install over 2,000 internal and external LED light units. The result? Savings of over £600,000 a year, with each project paying for itself in just 14 months! To put that into perspective, the saving is equivalent to 73% of Hermes’ annual lighting bill! And it’s not just financially that the LED bulbs have made a difference… The company has reduced its interior electricity consumption for lighting by a breath-taking 80%. This, in turn, means a simple change has significantly reduced the company’s carbon footprint. Switching to LED for their exterior lights has resulted in further savings, but it’s also helped in other ways too. The better quality of light has meant the image quality on their CCTV has improved dramatically. There are less shadows and colours are clearer. Productivity and pick-rate have increased as the ‘white’ light makes it easier to read labels and creates a more comfortable environment. Lights reach full brightness in 100ms of being turned on. All industrial fittings are protected from dust and water – which means you can wipe or hose down the units without damaging them. If you’d like to find out how Constellation Lighting can help you make the switch to LED’s and save money, call us now on 0114 247 9900.